Mass shooters are often characterized as "lone wolves" after tragic mass shootings take place. But after last Thursday's Oregon shooting at Umpqua Community College, a panel of experts who study U.S. mass shootings has explained to The New York Times how mass shooters plan their attacks. According to the experts, "cultural contagion" appeals to would-be killers, who study "blueprints" of previous mass killings in order to plan their attacks. "If you blast the names and faces of the shooters on news stations and constantly repeat their names, there may be an inadvertent process of creating a blueprint," Dr. Deborah Weisbrot, an associate clinical professor of psychiatry at Stony Brook University, told the Times. For example, 26-year-old Christopher Harper-Mercer, the gunman behind the Oregon attack that killed 10 including himself, allegedly uploaded a documentary about the 2012 shooting at Sandy Hook Elementary School in Newtown, Connecticut, to his blog. In turn, Adam Lanza, the 20-year-old Sandy Hook gunman who killed 20 first-graders and six adults, had apparently researched the 1999 shooting at Columbine High School in Colorado, in which 13 people were killed, as well as a 2011 attack in Norway that left 77 people dead. It's not a comforting thought, but the experts who spoke with the Times believe that the media coverage of mass killers can, in some sense, glorify them and inspire future killers. 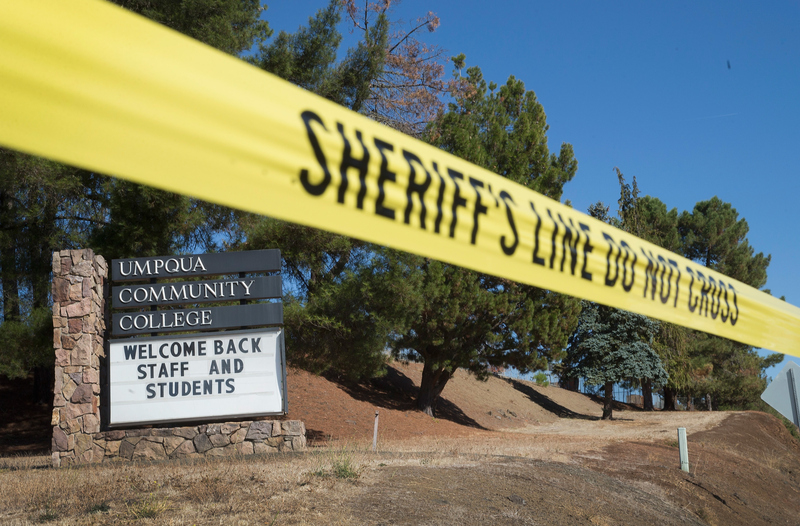 The experts' statements to the Times emphasize the fact that these mass shootings are more than just isolated acts — they "build on the blueprints of previous rampages," explain the Times' Erica Goode and Benedict Carey. The violence prevention experts noted that "many, if not most," mass killers have studied previous attacks. A German study by one of the newspaper's experts, Dr. J. Reid Meloy, for instance, found that out of nine school shootings, a third of the killers had "consciously imitated and emulated what had happened in Columbine." Another study from Arizona State University this summer found that mass shootings occur in "clusters." Researchers Sherry Towers told Live Science in July that "on average, one mass shooting inspires 0.3 more mass shootings." According to the study's findings, mass shootings are "contagious," because one tragedy can inspire another would-be killer to become an actual killer. Towers added that for every five school shootings, at least one is inspired by past events. It's not clear what the best solution in these situations is — obviously, news outlets won't stop covering mass shootings when they take place since it's their duty to inform the public. Still, the report is an important reminder about how we think about these mass shootings. Falling into the trap of seeing them as completely isolated can also be dangerous — we need to recognize the effect that shootings could have on other troubled individuals and make sure mental health services are widely available. J. Kevin Cameron, an expert on U.S. mass shootings, told the Times the "biggest problem we still deal with is underreaction to often blatant indicators that someone is moving on a pathway to violence." Some of these indicators can include suggestions about their intent to kill — Harper-Mercer reportedly wrote on his blog that "[it] seems the more people you kill, the more you're in the limelight." Indicators can also come in social media postings or off-the-cuff comments, clues that friends or teachers might pick up on but disregard until it's too late. The report is a reminder that we need to look out for these indicators and offer help to those who need it before another tragedy happens.